These fine and rare knives are beautiful examples of Zanzibar and possibly Lamu craftsmanship from along the Swahili Coast, possibly by Omani craftsmen based in these areas. 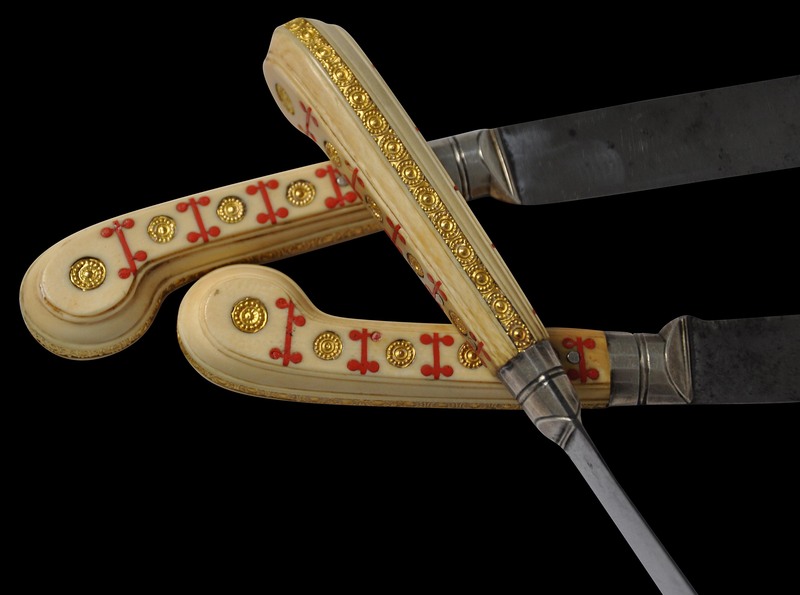 The blades are of polished steel and the handles are of ivory inset with solid gold plaques and strips, and bands of coral-red enamel. 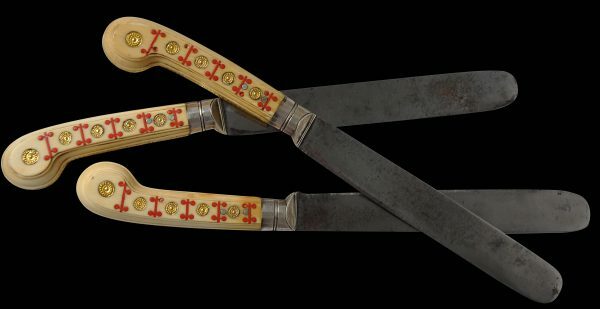 The gold and enamel inlay is to both sides of each handle. In addition, each handle is further embellished with a single strip of gold inlay that runs down the top, around the rounded end, and along the underside of each handle. All the gold plaques feature an impressed sun-burst motif, either singularly, or as a strip. Ivory and gold work such as this is extremely rare. It is related to the ivory and gold work used on Omani-influenced sword hilts that were manufactured in Zanzibar in the eighteenth century. Examples of these swords are illustrated in Hales (2013, pp. 237-139). Also, click here to see a hair comb that shows similar ivory and gold work, now in the collection of the Minneapolis Institute of Art. 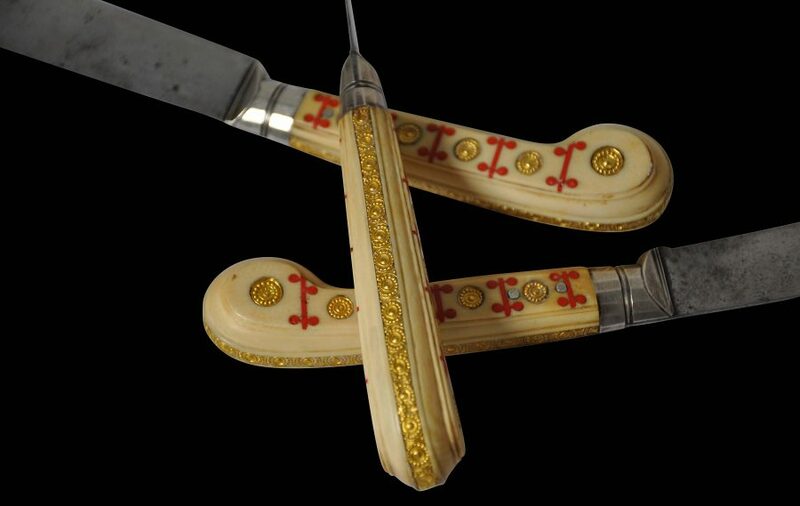 The three knives are in excellent condition; there are no repairs and no losses to the gold or enamel work.